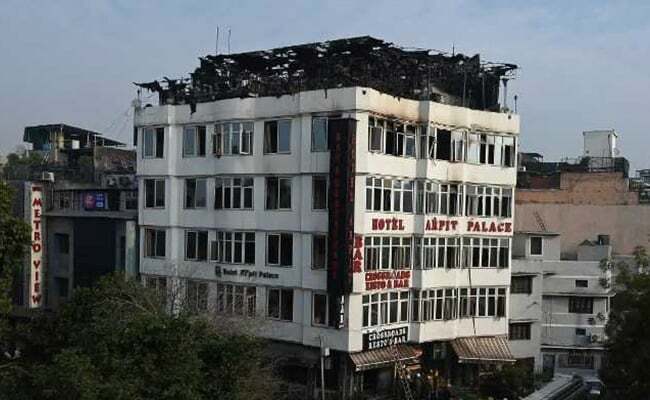 Karol Bagh Fire: Hotel Arpit Palace is located in central Delhi's Karol Bagh area. Trapped by a raging inferno on the terrace of a hotel in central Delhi's Karol Bagh area, a man is seen dangling from railing, holding someone's hands. As witnesses gasp, he jumps off, hitting the building next to it. 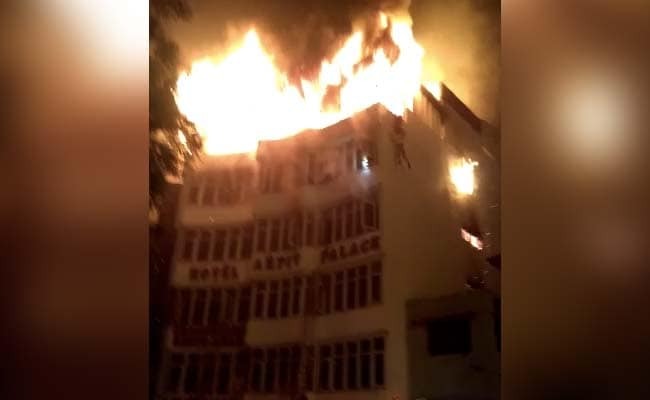 The police have confirmed that he is among the 17 killed after a fire swept through the Arpit Palace Hotel in a congested part of the capital. The video was recorded on cellphones by a witness. Hotel Arpit Palace is located in Delhi's Karol Bagh, an area popular with budget travellers. Generally, four floors are allowed for such establishments, the minister said. "We saw a canopy was put up on the terrace and tables and chairs were laid out. Inside in the rooms, wooden panels were there on the walls," Mr Jain said. 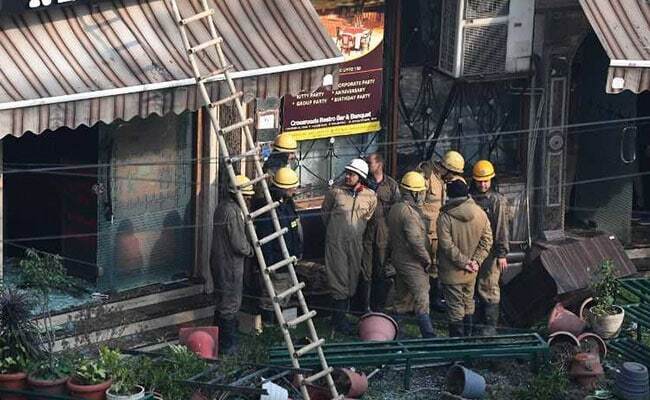 The blaze that swept through the hotel in Gurudwara Road in central Delhi's Karol Bagh killed at least 17 people, including a woman and a child, the police said.